Varèse Sarabande is honored to announce the release of Sirens digitally and on CD on June 1, 2018. The album features original music by composer Craig Safan (THE LAST STARFIGHTER, the album Rough Magic). 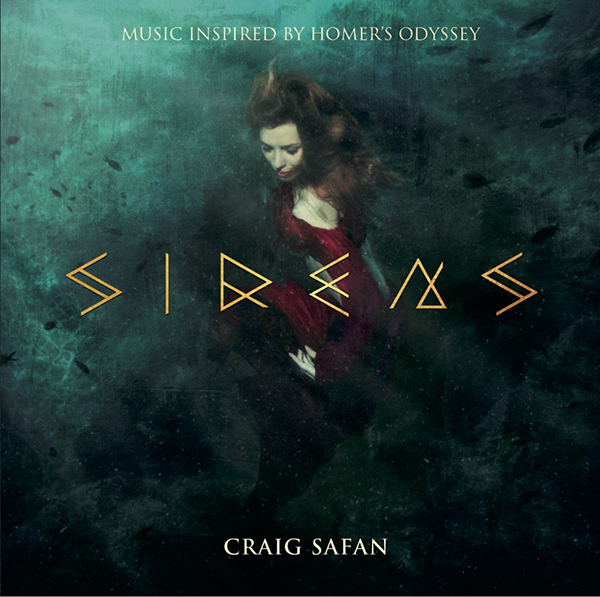 Sirens is an original composition based on the tales of the classic Greek myth The Odyssey and the amazing locations where the tales took place. Craig Safan has composed the music for over thirty feature films including MR. WRONG, STAND AND DELIVER, MAJOR PAYNE, NIGHTMARE ON ELM STREET IV, REMO WILLIAMS, and THE LAST STARFIGHTER. For the small screen, Craig is best known for his work as the composer for the series CHEERS for which he was awarded eight ASCAP Top TV awards, as well as for his music for LIFE GOES ON, which earned Safan an EMMY® nomination. Craig Safan’s music has been performed by Bernadette Peters, Nathan Lane, Faith Prince, Emma Thompson, Leon Redbone, Amanda McBroom, the London Symphony, and Cincinnati Pops Orchestras. Craig is a graduate of Brandeis University and was the recipient of both the Senior Prize in Drama and the Senior Prize in Music. Craig has given seminars or spoken at The American Film Institute, USC Film School, ASCAP Film Music Workshop, Berklee College of Music, and UC Santa Barbara. Craig is a member of the Academy of Motion Picture Arts and Sciences, where he sits on the Music Executive Committee of the Academy. Craig also serves on the Selection Committee for the Thomas J. Watson Foundation Fellowship in New York City, an award that he was the recipient of after college. In 2014 Craig conducted his film music at the 10th annual International Film Music Festival in Cordoba, Spain, and was pleasantly surprised to receive the festival’s Basil Poledouris Award For A Film Music Legend. Varèse Sarabande is honored to announce the release of Sirens digitally and on CD on June 1, 2018.